John B. Fabriele, III Esq. John B. Fabriele, III, Esq. John B. Fabriele, III, Esq. was born in Bayonne, New Jersey and raised in East Brunswick. He graduated East Brunswick High School, and received his B.A. from Franklin and Marshall College in Lancaster, PA. It was there that he developed a passion for law and the Constitution. John graduated law school in 1997. During his years attending Widener University School of Law in Harrisburg, PA he developed a passion for helping people with everyday legal problems. While there he held an internship at The Dauphin County Public Defender’s Office. This internship allowed him to draw a connection between his love of the Constitution, and the law, and helping people. He continued to work there as a staff attorney after graduating and passing the NJ and PA bar exams, and it was there that he gained an in-depth understanding of how the criminal process works, and honed his criminal defense skills. After moving back to New Jersey and beginning a criminal practice with a partner, John opened a solo practice in 2005. He has devoted his career to defending those charged with criminal offenses, and protecting his clients from abuses of the system and safeguarding their Constitutional rights. John’s extensive experience throughout the years has given him the knowledge, experience, and ability to defend both Municipal Court cases, as well as serious indictable offenses in New Jersey’s Superior Courts. 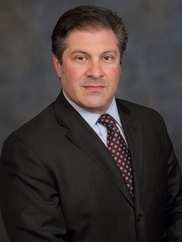 He is a member of The New Jersey Bar Association, The Middlesex County Bar Association, as well as The New Jersey Association For Justice (Previously ATLA), New Jersey’s premier professional association for criminal defense attorneys and trial lawyers. John defends citizens throughout New Jersey, and is easily accessible for clients in Middlesex, Somerset, Monmouth, Ocean, and Union counties. He is committed and passionate about defending civil liberties, Constitutional rights, and freedom. Call him today to learn more about how he can help you.